This year’s T20 Summit held in Beijing on July 29-30, 2016 brought together more than 500 experts from twenty-five G20 and non-G20 countries. Participants discussed policy options to provide input to the G20’s strong, sustainable and balanced global economy agenda ahead of the leaders’ summit in Hangzhou on September 4-5, 2016. 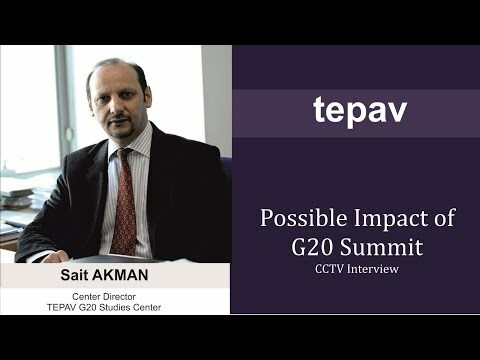 At the Summit, Director of TEPAV Multilateral Trade Studies Center Bozkurt Aran, Director of TEPAV G20 Studies Center Sait Akman and TEPAV Policy Analyst Feride Inan provided recommendations on further developing the G20 agenda and on the implementation of previous G20 commitments. The “T20 Innovation Forum: Towards a Collaborative, Inclusive and Dynamic Global Innovation Environment’’ was held alongside the T20 summit with a focus on promoting international cooperation to build an innovation driven world economy, to boost potential growth and job creation as well as to tackle global developmental challenges. In his keynote remarks at the opening ceremony, Ambassador Bozkurt Aran emphasized T20’s growing influence in the G20 process as well as the need for stronger coordination between countries to address global imbalances. On innovation, - that was a focus of the Turkish G20 presidency and the central focus of the Chinese G20 Presidency - Ambassador Aran underlined the need to develop international funds and cooperation mechanisms to support investment projects and to give impetus to economic growth. TEPAV Managing Director Guven Sak, who joined the “T20 Innovation Forum” via video, said that the introduction of innovation into the G20 agenda gave new impetus to growth and sustainability development discussions emphasizing technology transfer and diffusion of innovation globally. Mr Sak said that emerging technologies are disrupting the link between growth and sustainability pointing to the fact that these technologies can provide solutions to global challenges such climate change as well as contribute to the 2% global growth that was set by G20 leaders at the Brisbane Summit. 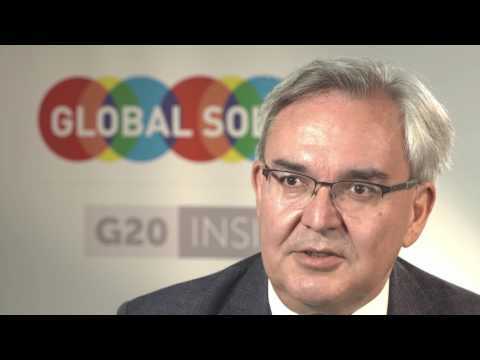 In this connection, Mr. Sak argued that the G20 should have growth and sustainable development strategies complement each other. Speaking at the panel on “Strengthening links between global growth and sustainable development strategies” Feride Inan, TEPAV policy analyst and visiting fellow at RDCY, drew attention to two critical aspects of the Chinese G20 Presidency’s ‘innovative, invigorated, interconnected and inclusive global economy’ framework. First of these is the Presidency’s focus on medium to long term strategies to boost growth through its structural reform agenda and by introducing innovation as a central leitmotif into the G20 agenda. Second, is the Chinese Presidency’s holistic approach that linked different agenda items with each other. Ms. Inan said that the emphasis on enhancing innovation and investment has been central to establishing links between growth and sustainable development agendas. At the panel on ‘Strengthening the coordination between regional trade agreements and the multilateral trade system’, moderated by TEPAV G20 Studies Center Director Sait Akman, participants discussed the impact of regional trade agreements (RTAs) on the multilateral trading system and provided their views on how RTAs can be addressed to ensure balanced distribution of global resources. In his summary remarks Mr. Akman highlighted that multilateral free trade is facing challenges and criticism both within the WTO framework and in the context of new mega regional trade agreements and other RTAs. The reasons for the proliferation of RTAs were also discussed. Drawing attention to the commitment made by G20 leaders at the Antalya Summit to ensure RTAs complement one another and contribute to a stronger multilateral trade system under WTO rules, Mr. Akman said that RTAs need to be more inclusive, universal, open and accessible and transparent , and that their impact needs to be more measurable. Increasing the Potential of Global Economic Growth; Improving Global Financial Governance; Facilitation of International Trade and Investment Cooperation; and Promoting Sustainable Development. These are expected to provide input into the G20 Leaders’ summit in Hangzhou on September 4-5.